Greenacres TLC differentiate themselves from other garden maintenance companies in that both Fiona and Graham have a passion for fine gardening. We love doing what we do and we believe that we pass this passion for our work on with all the projects that we do. 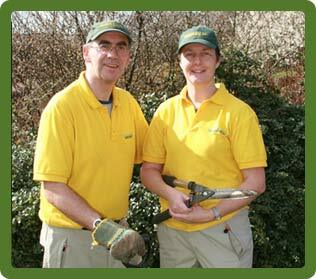 We not only offer a full garden clean up service, but we will maintain and care for your garden as if it were our own. If you would like some more information or are interested in a free garden assessment, please contact us direct.